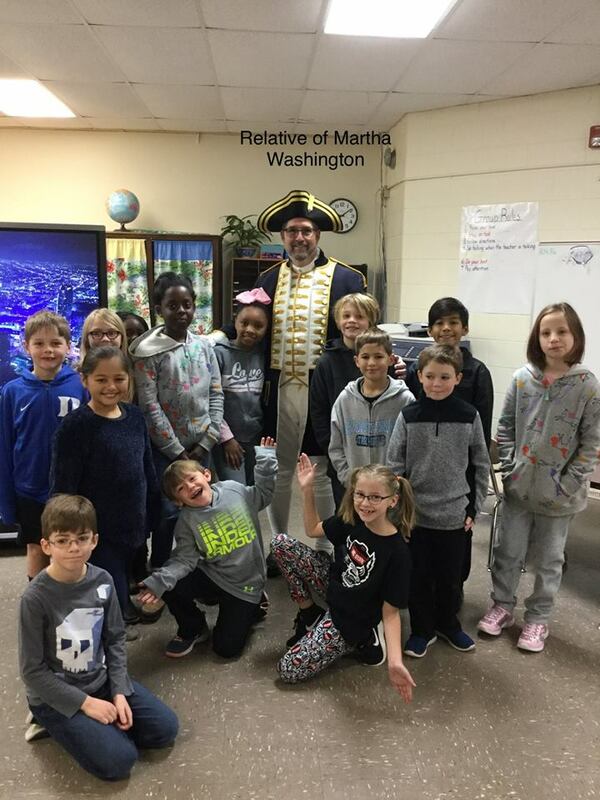 On January 22nd, Third graders at the Bangert Elementary School in New Bern, had a very special visit by Captain John Paul Jones. During his visit, Captain Jones gave a presentation, and answered questions, regarding how the Revolutionary War affected their town of New Bern. Captain Jones also talked about George Washington’s visit to New Bern. All the Third graders, and their teacher, were very excited about the Captain’s visit, and hope’s he may return for another visit. Pictured is Jay DeLoach, New Bern SAR Chapter President, who portrayed Captain Jones, along with several of the students.